South Australian Independent Candidate and Civil Rights Advocate Mark Aldridge began questioning Australia’s water fluoridation program after encountering some information claiming that the benefits of fluoride on our teeth are largely topical – through application such as toothpaste – rather than systemic. “I couldn’t understand why we were bathing in it, drinking it, washing our cars in it when studies showed the benefits to be topical,” said Mark. “You know where it comes from, right?” he asked rhetorically. I knew, but how many Australians did? The fluoride added to Australia’s water supply is a toxic waste from the phosphate fertilizer industry – not the pharmaceutical grade, naturally occurring fluoride found in toothpaste. Australia sources most of its hydrofluorosilicic acid from Incitec Pivot in Geelong, Victoria – a global manufacture of explosives and fertilisers. According to Incitec’s own safety data sheet, the hydrofluorosilicic acid added to our water is a classified Schedule 7 poison, which means it has high to extremely high toxicity and can cause death at low exposure. Another issue arising from using an industrial waste product, is the contamination of heavy metals such as arsenic, mercury, lead, cadmium, barium, beryllium and even uranium – which along with hydrofluorosilicic acid – are bio accumulative in our bodies and result in disease. Australia’s water fluoridation program must be viewed within the context of the rest of the world. The decades old practice is steadily losing legitimacy, with Israel being the latest country to ban the controversial practice after the Supreme Court ruled that water fluoridation is detrimental to health. And Israel is not alone. Today, 97% of Western Europe remains unfluoridated, with many of the European countries banning the practice citing health and ethical reasons for the move. “In any country where the issue has faced their courts of justice or been put to a referendum, in every case the adding of fluoride was stopped immediately,” said Mark. “Most of Europe has taken fluoride out. That leaves a few Western countries that don’t allow debate,” he added. Historically, the Australian water fluoridation debate has been focused around the effects that fluoride has on dental health, ignoring the growing body of scientific evidence outlining the adverse effects that ingesting the known poison has on the rest of the body. “They [the mainstream media] won’t allow anything that goes against the government position,” he added. While there have been earlier tests done on the pharmaceutical grade sodium fluoride often cited in the media, no real research by the Australian government has gone into the effects that hydrofluorosilicic acid has on our bodies. And given the mounting evidence from inside Australia and all over the world showing the connections between water fluoridation, cancers, lowered IQ, thyroid problems and pineal gland dysfunction – that’s exactly where the debate needs to start. While many claims have been made about the benefits of fluoride in reducing tooth decay, studies from within Australia and around the world indicate that there is little to no difference in the levels of tooth decay between fluoridated and unfluoridated communities. Dr. John Colquhoun, a New Zealand dentist and former water fluoridation proponent, wrote a telling journal article outlining his own research into the prevalence of tooth decay in fluoridated and unfluoridated communities. His results indicated that there was little to no difference between fluoridated and unfluoridated communities and where studies indicated otherwise, serious flaws were found, thus invalidating their findings. A research study carried out at by Harvard University has found that children’s IQ’s were significantly lower in areas that were heavily fluoridated, compared to those that weren’t. It is believed that fluoride acts as a developmental neurotoxicity, which affects brain development. Dr Doug Everingham, a doctor who later became Australia’s Federal health minister under the Gough Whitlam government, started out as a proponent of water fluoridation programs in Australia. It wasn’t until he came across a study by Melbourne University’s Dentistry Dean Sir Arthur Amies and Senior Research fellow Phillip R. N. Sutton – highlighting the errors of the early fluoridation trials – that he started his own research. In an interview with Dr. Everingham, he speaks of his time serving as the Australian health minister and water fluoridation opponent. Dr Everingham highlights the problems he encountered in getting the issue addressed, and subsequently acted upon, by the Australian government. In 1990, a study by The U.S. National Toxicology program was conducted looking at the relationship between water fluoridation and bone, liver and oral cancers as well as thyroid dysfunction. The study found strong links between water fluoridation and the prevalence of cancers yet the results were downgraded to a less severe classification. Dr. William Marcus, chief toxicologist in the Office of Water at the U.S. Environment Protection Agency (EPA) noticed this downgrade and immediately sent a memorandum out stating that fluoride was a probable human carcinogen (cancer causing). He proposed that further studies be carried out so that the agency could ascertain what levels were safe or if fluoride should be added to the public’s water supply at all. A campaign against Dr. William Marcus was initiated, and he was soon thereafter fired. I spoke to Independent Film Maker and Director of the Australian documentary Fire Water: Australia’s Industrial Fluoridation Disgrace, Jaya Chela Drolma, to glean some insight from her experience in making the film. Jaya felt compelled to make Fire Water after being asked to shoot a single short film segment about a person suffering from prolonged fluoride exposure. What transpired was a collection of 19 interviews from a cross section of Australian society including researchers, politicians, activists, sufferers and health professionals. “The mainstream media has maintained absolute silence; the ‘pro fluoride’ lobby’s stance is unquestioned by the people; and the media has only supplied officially sanctioned information without any true critical analyses,” said Jaya. “Also of great concern is that aboriginal people have smaller kidneys than Caucasians, and therefore cannot eliminate as much fluoride per day, for the same dose given; and that there is no way to monitor the dose that people are ingesting each day,” she added. As I started to wrap up the thought-provoking interview, Mark Aldridge reiterated the importance of Australians keeping themselves informed. Yeah I know Alex. I wanted this article to be Australia specific and for a regular Australian audience though but none of the independent media would print it! Arthur, the thing about Hitler and fluoride is a myth. Forced-fluoridation is bad enough without repeating misinformation. The Fluoride Action Network is a better source of information than Infowars in my opinion. Sorry Arthur but that is complete nonsense. Fluoridation of water is to prevent tooth decay. There is no product on Earth that has gone through as many double blind trials and scientific research to determine if it works or not or what are the side effects. Just wanted to mention that the latest research from sources like Weston A Price Foundation, Natural News, GreenMed Info indicates that tooth decay is not primarily caused by acid producing bacteria but by malabsorption of calcium and phosphorous due to toxic diets, gluten, phytic acid in grains and legumes, GMO’s that disrupt the body’s operating system etc. These damage the lining, the villi that absorb nutrients. So because the body can’t get the minerals it needs from the diet it takes calcium and phosphorous from the teeth and bones. Healthy teeth are impervious to acid normally but now the teeth are weakened so the acids that have always been there are strong enough to bore through the enamel. I have been brushing using coconut oil combined with baking soda for more that two years with no problems also have changed diet to gluten free basically a paleo diet. A natural tooth whitener is 3%Hydrogen peroxide,a capfull, just swish it around, spit it out, a couple times a month. As for flouride in the water, in Australia, it’s one part per million. So the toothpaste is the main injestion at 1000 times that. Flouride damages collagen, destroys enzymes, sanitizes the microflora of the gut that is basically our immune system, as you mention clogs the pineal, there’s your source of insomnia in some cases and disrupts ability to dream. Dreaming is the soul talking to the conscious mind. A good water purifier..The Wellness Karaffe..about $50 from Global Healing centre. A good book how to reverse cavities. People can consider to danate to FAN- floride action network, I did to help this cause. Thanks for writing the article. Cheers. There may be something to what you’re saying about calcium and phosphorus, but resistance to attack by acid has nothing to do with the strength of a material. The former is a chemical property, while the latter is a mechanical property. Also, toothpaste is not usually the main source of fluoride ingestion, even if some is swallowed. You need to take into account the much larger mass of water which is ingested. There is an exposure analysis in the 2006 US National Research Council report Fluoride in Drinking Water: A Scientific Review of EPA’s Standards. One leaves it to Kate to write the whole story as this story covers centuries. Kate please place in the story the global warming crowd broken hockey stick curve on the CO2 goof up…The best one was the global crowd having a meeting in Europe when it was snowing outside(when it should have not been snowing) and they ignored it as it was really global warming on their agenda. You’re right, important issues to cover. I’ve already written on the climate change scam. I just can’t imagine finding the time fo ranother article with all my other priorities now! Perhaps you should do it 🙂 Thanks for reading. Kate, climate change is not a scam. You don’t do the antifluoridation cause any favours by stating that opinion. Firstly I’m not trying to do any favours to anyone, I report the truth as I find it. Let me clarify. I don’t necessarily think climate change is a scam. Obviously the climate is changing. I attribute it more to cyclical/normal causes rather than man-made causes. That’s not to say we’re not destroying the environment and radical change in our society needs to happen. Quite on the contrary, I believe we must move to a more sustainable society. What is a scam is the science behind global warming/climate change that serves to create fear in the general populace which serves to allow the introduction of ‘solutions’ for the problems they in effect created. Solutions such as UN’s Agenda 21, the global carbon tax and Geo-engineering. THESE ARE NOT THE ANSWERS!!! Kate, I’ll give you the benefit of the doubt that you are genuine, but have been misled. I read an article you wrote here on climate change, which was completely unreferenced and, it has to be said, poorly reasoned. I’m wondering if you have a science education, or if you know the mechanism by which carbon dioxide and other greenhouse gases are believed to affect climate. In my opinion, the only credible answer to anthropogenic climate change and other environmental problems is political and economic revolution, but the question as to what should be done is distinct from the question of whether or not climate change science is credible. Thank you for the fantastic film. Very journalistic with great sources! Anti-fluoridationists (those people vehemently opposed to the dumping/disposing of hazardous waste pollutants into our water supplies and hence also polluting our food chain and environment and us and all life) are a group of sensible, caring and intelligent people against the chronic poisoning of our population, animals and environment. Here is some additional information that is very damning against water fluoridation. “Fluorine-containing gases are produced as a by-product in the manufacturing of fertilizer, phosphoric acid, phosphates and other phosphorous-containing materials from minerals such as fluorapatite and phosphate rock. When such minerals are reacted with an acid, such as phosphoric acid, sulfuric acid, nitric acid, or hydrochloric acid, which treatment is common in preparing useful materials from these minerals, silicon tetrafluoride is liberated…. The liberated silicon tetrafluoride is usually recovered by absorption in water. The silicon tetrafluoride reacts with water to form fluosilicic acid (H2SiF6). The acid is generally an undesirable by-product having little economic value. The fluorine-containing off gases from the manufacture of various products from phosphatic starting materials are recovered usually for the sole purpose of preventing their escape to the atmosphere. The fluorine-containing off gases results in serious atmospheric pollution problems, since the gases are both corrosive and toxic. Water fluoridation/pollution with hazardous waste pollutants is not safe and not effective and all those continuing with this dangerous fraud of WF had better stop urgently and irrevocably. No one has the right to treat, medicate, drug, chronically poison/pollute anyone especially without informed consent (or refusal) or to pollute our food chain, all life and environment). Wall Street Journal says Dentists Are Big Political Players and do all they can to preserve their monopoly.” Huge donations to secure their political agendas. Can Dentists & Doctors be trusted when they say Water Fluoridation is Safe & Effective? NOTE: This article makes no reference to fluorides but does show Aboriginals are at high risk for renal disease! Kidney Int. 2006 Jul;70(1):104-10. Epub 2006 May 24. Australia wide in dental crisis after widespread fluoridation in every State, first commencing Beaconsfield, Tasmania in 1953 = likewise USA in dental crisis after widespread ‘fluoridation’ first beginning in 1945 Grand Rapids Michigan. The only answer EVER was to provide access to affordable dental health care services for all the population, not the disposal of hazardous waste pollutants fluorosilicic acid/silicofluorides and co-contaminants of lead, mercury, arsenic, cadmium, thallium, beryllium, etc., (known as water fluoridation); into our drinking water supplies and hence also the contamination of our food chain and using the populations’ kidneys as hazardous waste disposal/filtration units. Note well, violence and crime and ‘alcohol’ related violence is almost out of control in Australia – the authorities don’t know what to do about it – not once has anyone in ‘authority’ ever listened or looked at the connection with the POTENT NEUROTOXINS IN WATER FLUORIDATION CHEMICALS which contaminate our water, food supply and everything else. We eat, drink and bathe in these neurotoxic hazardous waste pollutants. The International Society for Fluoride Research Inc. I have compiled some information on violence and criminality and link to silicofluorides (as per work of Professor Roger Masters) – Australia wide has a serious problem with widespread violence and criminality – I hope many more people are able to open their minds and get past the propaganda by The Pro-fluoridation Web of Deception and see the true harm and abysmal failure of this hazardous waste known as water fluoridation. Violence on Brisbane streets 9 Dec. 2013 – Note in Brisbane etc., we were fluoridated/polluted with these potent NEUROTOXINS (water fluoridation chemicals/hazardous waste) in December, 2008. They can spin it all they like our violence and crime in Brisbane and all surrounding areas, Gold Coast, Sunshine Coast etc., has skyrocketed ! For example Sydney ‘fluoridated’ since 1968 – NSW now has a saturation rate across the entire State of 96% of these potent neurotoxins known as water fluoridation -this is obscene http://www.abc.net.au/news/topic/macquarie-fields-2564 The remainder of Australia heavily fluoridated also. Get used to this violence and criminality until you take the potent neurotoxins hazardous waste pollutants fluorosilicic acid/silicofluorides & co contaminants of lead, mercury, arsenic, cadmium, etc., (and added aluminium sulphate also) KNOWN AS WATER FLUORIDATION – this of course also contaminates our entire food chain – NEUROTOXINS should be banned from our drinking water (& hence food chain) NOT ADDED BY A GOVERNMENT !!! Violence & criminality and silicofluorides (water fluoridation) http://fluorideinformationaustralia.wordpress.com/violencecriminality/silicofluorides-water-fluoridation-chemicals/ Alzheimer’s Disease EPIDEMIC fluoride – aluminium Wake up and end WATER FLUORIDATION/POLLUTION AS A MATTER OF EXTREME URGENCY AND END IT FOR ALL TIME !!!!! Do not continue to ignore the link with Silicofluorides and violence and criminality. Fluoride Research on Water Fluoridation and Crime in the United States of America. If water fluoridation were ended, it might take a generation for the effects to recede. If it continues to expand, the “signal” identified in this study may get lost in the “noise” of endemic violence. http://fluorideinformationaustralia.wordpress.com/violencecriminality/silicofluorides-water-fluoridation-chemicals/ you will find document headed ‘Yes, lead poisoning could really be a cause of violent crime’ – I had made additions which refer to the work of Professor Roger Masters – Silicofluorides (water fluoridation chemicals) and violent crime and enhanced lead uptake. POTENT NEUROTOXINS – Water fluoridation in Queensland from Dec. 2008 with hexafluorosilicic acid/silicofluorides & co-contaminants S6/7 Corrosive 8 poisons (previously Townsville 1965 with sodium fluoride S5 poison & Dalby & a couple of other towns which made up about 5% of Queensland being fluoridated/polluted with potent neurotoxins/hazardous waste known as water fluoridation. extract ACCOUNTABILITY FOR MONEY SPENT: The Qld mental health budget has soared 45% since 2008/09, up from $770,282,000 to $1,119,770,000. The National Mental Health Commission said, “It is not good enough when we know that as a nation we spent $6.3 billion or $278 per Australian on mental health related services in 2009/10… But there is little or no accountability as to what improvement we are getting for such a significant investment.” With a soaring budget of this size one would expect there to be complete accountability for money spent, not publically unreported restraint and seclusion. In addition to the fluorosilicic acid/silicofluorides (hazardous waste pollutants and co-contaminants of lead, mercury, arsenic, cadmium, etc., known as water fluoridation chemicals) they also add aluminium sulphate. Australia already faces Alzheimer’s Disease (& Kidney disease) epidemics – STOP ‘WATER FLUORIDATION/Pollution’ immediately permanently & irrevocably for all time or face the ruin. Dementia, including Alzheimer’s Disease (AD) is fast becoming the greatest public health issue, ever. In the UK the Alzheimer’s Society recently stated that one in three persons over the age of 65 will die from AD – and it’s increasing so fast that in thirty years time the prevalence is expected to treble (do the maths and shiver!). Your children will live with fluorosis, but they will die with dementia. Since the evidence that environmental exposure to ionic aluminium salts, such as the aluminium sulphate used in water treatment, is a leading cause of AD. There is a 50% and 150% increase in AD in areas where the water contains only half the permitted maximum of 0.2ppm. Fluoride in water – increases the speed at which it is absorbed and transferred to the brain. Adding Fluoride To Drinking Water Is Literally Insane. Fluoridation is bad on its own, but in the presence of aluminium its effects are becoming catastrophic as our ‘aluminium clocks’ tick away the countdown to Alzheimer’s – fluoride speeds up that lethal clock.. Recent USEPA concerns over arsenic, a Group 1 (a) carcinogen, caused the government-contracted water treatment chemical certification laboratory, National Sanitation Foundation International, to say that there will be “increased product failures” due to high arsenic levels in fluorosilicic acid. USEPA has asked the US Government to dramatically reduce arsenic levels in drinking water from 50 parts per billion to 5 parts per billion. The EPA is keen to change the regulations because arsenic in known to cause a wide range of cancers in humans. More recently, the primary component of fluorosilicic acid and sodium fluorosilicate – silicon – has also been discovered in the brain plaque of Alzheimer’s and Alzheimer’s-like dementia (ALD) victims. Silica has also been found in the brain tissue of people with primary brain tumors, which is considered a terminal condition. Although aware of these new developments, no responsible government agency including the USEPA will request that any research be done with the actual toxic waste “product” used to fluoridate public drinking water. Statement by James B. Patrick, Ph.D. at the Joint Congressional Committee on Health & Appropriations Against the Inclusion of Fluoridation in the Preventive Health & Health Services Block Grant, Held August 4, 1982. Dr. Patrick earned his B.S. from the Massachusetts Institute of Technology & his M.A. and Ph.D. from Harvard University majoring in chemistry. His experience as Antibiotics Research Scientist was with the National Institute of Health & Lederle Laboratories. Dr. Patrick is Senior Professor and Chairman of the Department of Chemistry, Mary Baldwin College, Stauton, Virginia, 1967 to date. He is author of 28 technical papers & holder of 7 U.S. patents. I strongly advise against the legislature of this Commonwealth having anything to do with fluoridation. It is a scientific disgrace that a well organized lobby of the American Dental Association ever managed to stampede American legislators into ignoring the highly technical but very cogent objection to fluoridation. Halving patients’ daily sugar intake could diminish the risk of tooth decay Irish dentists have to face, a study has found. Scientists have suggested that restricting the recommended threshold for ‘free sugars’ to around five teaspoons a day could minimise the risk of dental cavities. Free sugars are those added to foods by manufacturers, cooks or consumers; plus those naturally abiding in honey, syrup, fruit juices and fruit concentrates. Levels of tooth decay are much lower in diets where less than 10% of the calorie intake comes from free sugars, according to research carried out for the World Health Organisation (WHO) by Newcastle in the UK. This article is pretty good, but there are a few problems. To my knowledge, the fluoride compounds which are added to toothpaste are not naturally occurring. Also, fluoride is bioaccumulative, but hydrofluorosilicic acid itself is not. Finally, the court ruling in Israel was that there would no longer be the political authority to continue with artificial water fluoridation after that of the central government had been withdrawn. It did not rule on whether or not fluoridation is detrimental to health, though anyone who looks objectively at the evidence can see that it is. Dennis Stevenson, a former Parliamentarian and Member of the ACT Legislative Assembly ‘Fluoridation Inquiry’ (1989-91). For over 100 years, science and medicine have understood the poisonous nature of fluoride. In the 1930’s and 40’s, giant US companies, e.g. ALCOA, were sued for millions of dollars due to toxic fluoride waste escaping from factory smokestacks killing crops and livestock. ALCOA’s owners (Mellon) figured that if people could be persuaded fluoride isn’t poisonous but is good for teeth, profits could be protected. So, to introduce water fluoridation, they hired the brilliant ‘father of propaganda’ Edward L. Bernays. Joined later by other fluoride polluting industries (e.g. nuclear) and the multi-billion dollar sugar, toothpaste, confectionary and soft drink industries, they became strong financial supporters of dental associations that promoted fluoridation. One such support group, the Dental Health Education & Research Foundation (DHERF) was founded in Australia in 1962. Its Governors, Members and donors comprised key representatives from Coca-Cola, CSR, Kelloggs, Colgate-Palmolive, Wrigleys, Arnotts, Scanlens, Cadbury Schweppes, etc. The following 12 points require no expertise in fluoride toxicity, just common sense:…. Statement by James B. Patrick, Ph.D. at the Joint Congressional Committee on Health and Appropriations Against the Inclusion of Fluoridation in the Preventive Health & Health Services Block Grant, Held August 4, 1982. Dr. Patrick is Senior Professor and Chairman of the Department of Chemistry, Mary Baldwin College, Stauton, Virginia, 1967 to date. He is author of 28 technical papers and holder of 7 U.S. patents. A number of scholarly volumes and numerous technical articles have been written showing the biochemical and toxicological hazards of deliberately exposing the population to continuous dosages of such a potent chronic toxin as fluoride. I cannot summarize them in the time of space at my disposal here, but will confine myself to sketching three points……. For these three reasons, as well as for a number of others that I have not attempted to cover here I strongly advise against the legislature of this Commonwealth having anything to do with fluoridation. It is my hope that this book The Case Against Fluoride How Hazardous Waste Ended Up In Our Drinking Water And The Bad Science And Powerful Politics That Keep It There by Paul Connett, PhD, James Beck, MD, PhD, H.S. Micklem, DPhil, will enable good science to prevail over dogma on this issue. This is important not only to end a significant health threat to fluoridated populations but also because it is critical for a civil society to be informed by honest science. This change can occur only if enough people – especially new generations of scientists, doctors and dentists – want it to happen. Australian Government removed Toothpaste S5 poison labels ! The N.H.M.R.C. in their book “The Effectiveness of Water Fluoridation” p.131., explained the need to examine poison regulations concerning fluoride toothpaste which was registered as an ‘ S5 POISON’ as printed on the package. Fluoride Toothpaste an S5 poison was reclassified as “Cosmetic for sales regulations”. Here we have the Australian Government’s professional and honest sorcery of changing an S5 POISON into a safe benign product by altering its scientific health category into a cosmetic by reclassification! S5 Poison labels on fluoride toothpaste removed to help commercial sales. All S5 POISON LABELS on fluoride toothpaste were removed, not for your health reason, no, it was to help commercial SALES that superceded the health and rightful Government protection of Australian people. 2007 The Australian Fluoridation News – Is there a case of Government Fraud? There is as much, or more, dental decay in fluoridated communities as there is in the non- fluoridated areas; however, the dental costs are higher in fluoridated communities due to dental fluorosis. 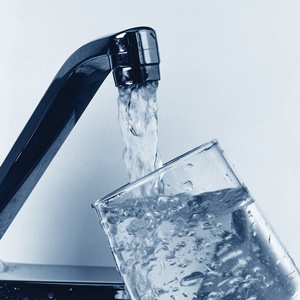 Drinking fluoridated water may delay decay, but it does not prevent it. •	The American Dental Association supplement schedule shows that fluoride prescription drugs should not be given to infants under 6 months of age. One cup of water per day for children age 6 months to 3 years matches the supplement controlled dose. Therefore, in fluoridated areas, most children under 3 are getting an overdose of this drug via their drinking water, yet the ADA continues to recommend fluoridation. The widespread and uncontrolled use of fluoride in our water, dental products, and foods and beverages (grown and processed in fluoridated communities), is causing pervasive over- exposure to fluoride in the U.S. population. Most developed countries have rejected, stopped, or banned fluoridation because there is no margin of safety. As from today 20th January, 2014, the addition of fluorosilicic acid to any food is completely prohibited banned throughout the entire European Community, and our rogue governments can no longer claim that fluoridated is a food. As Lord Jauncey, David Shaw and I have argued, it’s a medicine, and since it’s unlicensed for medicinal use, its supply to us, the public, is illegal. The legal and commercial implications of this are enormous. Any EC Member State can now refuse to allow the importation of any food that has been prepared – or even just washed – with fluoridated water, during its processing. This includes a potential ban on any foods from States outside the EC, such as Australia, New Zealand, the USA and many other countries that allow the contamination of public water supplies with this illegal ingredient. For the full story, go to https://www.ukcaf.org/independence_day.html Then pass the PDF to your Local Authority, your MP, your MEP, and any others who are concerned for the enforcement of those laws that have been passed to protect us from fake medicines and contaminated foods.. Thanks 🙂 I really appreciate it. It’s such warm feedback like this that keeps me going! The politically powerful controlling groups pushing this dangerously corrosive hazardous waste and co-contaminants down our throats should all be on criminal charges (and corruption charges) for damaging our health and safety by forcing these pollutants into our water supplies and hence food chain. This is an atrocity that has gone on for six decades in Australia and 7 decades in the USA. Australia like USA is chronically diseased and in dental crisis – the Commonwealth Ombudsmen and many others including the mainstream media should have strenuously looked into this and joined the call for a total and irrevocable ban on water fluoridation schemes. One day they will all be brought to justice. Clear, inroimatfve, simple. Could I send you some e-hugs? this weblog, and I used to pay a visit this weblog every day. Any Government who continues with this chronic poisoning of the population, all life and environment, continues to be completely reckless and obscenely negligent and also in my opinion, criminally negligent, with this deliberate and wilful act of ‘water fluoridation/pollution with this hazardous waste’. I would strongly recommend that Governments cease and desist all water fluoridation, forthwith as many more of the population are waking up, with no thanks to the mainstream medias everywhere, who continue to wilfully suppress and cover up any information against this outdated and harmful practice. Australian people must force the Australian Government to stop all water fluoridation Australia wide – there must be no violence whatsoever, but we need tens of thousands of people or more, demanding the Government cease and desist the action of chronically poisoning our population, pets, wildlife, all life and our environment with this hazardous waste and co-contaminants they call ‘fluoride’. Demand it urgently for all our sakes and our long term health and safety everywhere. To let you all know that my son, in the first 20 years of his life had no fillings whatsoever – and now we have been fluoridated since Dec. 2008 I have lost count of his fillings – but I think it is about NINE fillings (as at Dec. 2014). Just goes to prove how lucrative and successful ‘water fluoridation’ is for dentists – (also they pay from the taxpayers, $1,000.00 for every child under 18 for dental costs – and delays were up to eight years or more at the Government Dentists so they had to come up with a way to get people attended to quicker so they give health card recipients a voucher to see other dentists) – there are more dental surgeries, dental corporations than ever and also doctors have many more sick and diseased people to treat, not to mention vets doing more business with sick and diseased pets. Water fluoridation chemicals are also potent neurotoxins. Hexafluorosilicic acid/Silicofluorides and co-contaminants of lead, mercury, arsenic, cadmium, thallium, beryllium etc. and added also is aluminium sulphate forcibly put into our water supplies and called water fluoridation chemicals (and hence also contaminating our entire food chain) ARE POTENT NEUROTOXINS – the link with violence and crime continues to be ignored. There are no neurotoxicologists, neuropsychologists, criminologists who are putting this together, more and more people becoming violent. Street violence, school violence, violence and criminality, domestic violence, mental illnesses are at epidemic levels. Australia to continue to force this fluoridation pollution on us is truly a disgrace and criminally reckless and negligent. AUSTRALIANS MUST DEMAND THAT THE AUSTRALIAN GOVERNMENT CEASE AND DESIST ALL WATER FLUORIDATION (POLLUTION) AUSTRALIA WIDE URGENTLY AND IRREVOCABLY FOR ALL TIME. Again the cost of water becomes a virtual luxury and from 1 July 2014 Unity water prices increased by 3.5% and Queensland State Government bulk water price increased by 10.1% and a reminder as per Pine Rivers Press article 26 June, 2014 ‘water woes worsen’ that an outstanding water-grid bill of $10.5 billion meant the price would rise by 30% over next five years. This is no doubt mostly due to the horrendous cost of dumping the hazardous waste from the phosphate fertiliser industries (known as water fluoridation) into our drinking water supplies, hence also contaminating our entire food chain – water fluoridation began in Brisbane and surrounding areas, Gold Coast etc., from December, 2008; continuing throughout Queensland; some responsible and ethical Councils have since stopped water fluoridation due to health concerns and/or costs. About 90% of Australia’s drinking water is polluted with this hazardous waste – this is obscene, and not safe and not effective. For all the ‘forcers, promoters and suppliers of water fluoridation’ to continue saying that ‘water fluoridation is safe and effective’ is allegedly, in my opinion, criminally reckless and negligent at the expense of our wallets and particularly our long term health and safety. All the population want safe water – demand no fluoride/hexafluorosilic acid/silicofluorides & co-contaminants of lead, mercury, arsenic, cadmium, thallium, beryllium etc., and no aluminium sulphate………..STOP WATER FLUORIDATION urgently and irrevocably for all time. TABLE 1: Hæmodialysis Risks associated with Water Contamination; my comment: we should all be getting safe water. Ann Intern Med. 1994 Sep 1;121(5):339-44. An outbreak of fatal fluoride intoxication in a long-term hemodialysis unit. Arnow PM1, Bland LA, Garcia-Houchins S, Fridkin S, Fellner SK. A retrospective cohort and case-control study of patients receiving hemodialysis and a laboratory study of a model deionization system to purify water for hemodialysis. Medical and dialysis unit records were reviewed to identify and characterize cases. Fluids for dialysis were tested for toxic substances, and fluoride was measured in patients’ serum. Resistivity and fluoride were measured in effluent from a model deionization system operated in the same way as the system associated with illness. What’s up, this weekend is good in support of me, because this moment i am reading this wonderful educational paragraph here at my home. specified about my problem. You are amazing!